Layanan jasa website dengan fasilitas User Friendly, Mobile Friendly dan SEO Friendly. Jasa Website Murah sesuai dengan Harga dan Fasilitas yang kami berikan, tidak perlu mikir yang lain. Layanan optimasi website untuk meningkatkan dominasi website anda di persaingan Search Engine. Jasa SEO Bergaransi dengan jaminan Uang Kembali jika target yang diinginkan tidak tercapai. Web Design Bandung Indonesia and SEO Professional Services, graphic web designer for responsive web design, Mobile Friendly and SEO Friendly. ReeZh Design provide a Better Experience for You. ReeZh Design become One of the best Graphic and Website Services in Bandung Indonesia. We do not offer a standard graphic and web development, we offering you a Custom Design, because you are in a role for building your site. We simply embody and help you in achieving your desired goals. More details about web design or website development services in Bahasa Indonesia, click button below. This is the most related to your business in graphic design services, such as Logo, Stationary, Brochure, Company Profile, etc. We will transform your vision to an object that you will love it. See our portfolio details. Price is not made to our specifications in graphic and web design services. Your satisfaction and our services is more our concern. Get your design services with affordable price and high quality. Mobile friendly is the most important requirement for website today. Currently, so much people in the world has access website from mobile, smartphone, tablet, or other gadget who had access to internet. 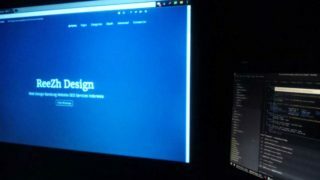 Jasa Pembuatan Website atau Website Design yang kami tawarkan dimulai dari PAKET MURAH sampai dengan PAKET CUSTOMIZE. SEO or Search Engine Optimization is all about developing and improving the content of various websites and uplifting their positions in the search results. SEO is equally important for accelerating the rankings of websites in SERPs. Optimize your site, and accelerate ROI (Return on Investment) for your business. That is why we build your website with Mobile Friendly and SEO Friendly, no more extra cost for optimize your site. Just do what we suggesting for you, and reach out your goal in ASAP. SEO Services is related with Web Design (vice versa). It must have a valid code. Validity for your landing page and entire site. It will gave you positive point in search engine. Click here for SEO Services in Bahasa, click button below.